Improve tree symmetry and stability by emphasizing stronger limbs and eliminating weaker ones. We understand that tree trimming is both science and art. 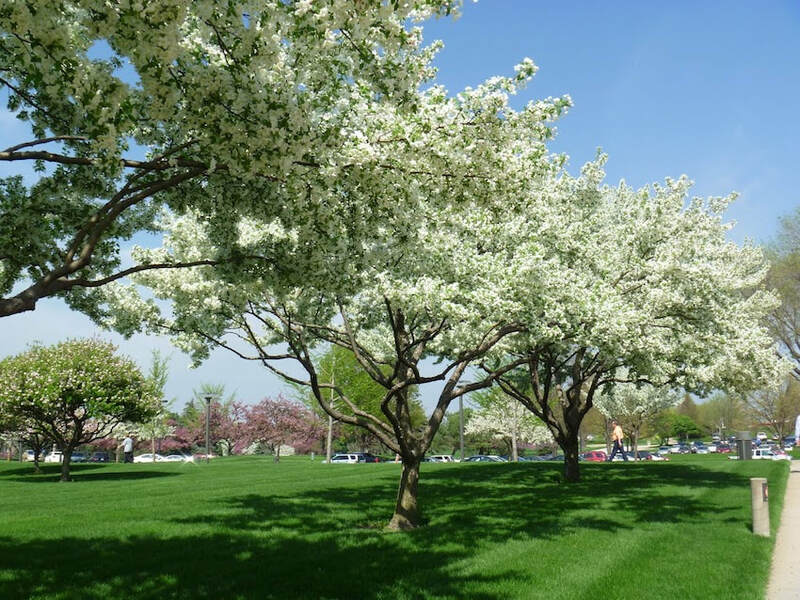 We have trained for years to trim trees properly, and we have decades of experience in mastering the art of trimming so that your trees' appeal is restored. Further, we never over trim trees making them look ugly, unappealing, and unfit for your landscape. ​ We provide free on-site estimates, often the same day that you call; and, we can usually have the job done within a day or so of your call. Tree trimming can be just a dangerous as tree removal. Large mature trees have long heavy branches that can be almost impossible to trim for the average property owner. Special care must be given during trimming that they do break when cutting and they can be lowered safely to the ground. Further, trimming trees in adjacent property structures is potentially risky in that, if not done correctly and professionally, tree debris can damage roofs, siding, etc. It is for these reasons that we never recommend property owners from trying to trim their large trees. It takes skill, experience, and the property equipment to efficiently and safely trim large trees. And the salvaged wood from a large tree trimming job can be quite tedious for the average homeowner to dispose of. Conversely, we encourage our customers to prune their smaller, more young trees, as it promotes strong, healthy growth; and will reduce tree trimming costs as the tree matures. So don't risk your safety, time and money when it comes to trimming large, mature trees. When storms and ice damaged trees, we understand property owners need immediate service to clean up the mess, especially if it hampers some function of your home/business or utilities. When you call us in these situations, we will immediately dispatch a tree leader to come to your property to quickly assess the situation and provide you with an accurate verbal estimate. If you agree to have the work done, we will get your schedule ASPA and provide our written estimate along with our licensing and insurance information. We provide this tree service around the clocks as we know property owners want tree damage cleaned-up immediately. Tree Size - the larger the tree the more expensive it will be to trim. This is because we will have more labor involved as well as in some situations, additional equipment. Tree Location - the location of the tree matters if it is near property structures and/or power lines. In these cases, we will have more labor and sometime additional equipment in order to safeguard these structures during the trimming process. Tree Species - some trees are a bit more labor intensive to trim due to their growth patterns. Tree Trimming Required - an overgrown tree will require more labor to trim merely due to the amount of trimming required.